A different kind of congress: a meeting for progress. This congress was attended by more than 90 people, including researchers and representatives of R&D companies from the food and agriculture sector. The participants, from as many as 30 different countries, debated on the impact and the interaction of insects and microorganisms with the main types of crops in Europe. 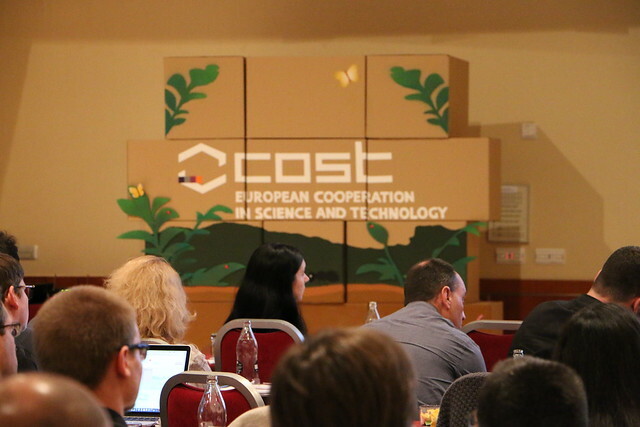 COST (European Cooperation in Science and Tecnology) is one of the European Union’s most important programs. Created in 1971, it promotes the creation of collaborative networks among researchers to strengthen scientific and technical research in Europe. Sombradoble managed the whole event, from design to implementation. We also designed and made the supporting media for a poster campaign.